℗ 1991 Atlantic Recording Corporation for the United States and WEA International Inc.
Well, it's really not Lynyrd Skynyrd but Lynyrd Skynyrd 1991. That was the agreed upon name of the Tribute Tour Band when they came out with their album. Every year it would of course change but after Allen Collins' father was bought out, the name went back to Lynyrd Skynyrd. The album has a few very good songs but the "Lynyrd Skynyrd Sound" is really not there. This CD came out in 1991 which was a terrible year for southern rock/hard rock in general. 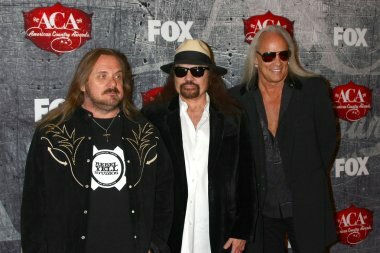 This CD contains three songs which belong among the Lynyrd Skynyrd greats. Smokestack Lightning, Backstreet Crawler and Keeping the Faith. The rest is OK Lynyrd Skynyrd sounding filler. Little brother Johnny and what was left of the classic lineup did a great job of keeping the original sound and feel and on future CD's would write some real classics such as: That's How I Like it, Tomorrow's Goodbye, Red, White & Blue & The Last Rebel. Their crowing achievement is 2009's God & Guns which is an excellent CD from start to finish. For their first time out 1991 was an OK CD and the backing vocals are excellent as well as the instrumentals. The lyrics needed some work. I recommend just downloading the three songs I mentioned and move straight to God & Guns. 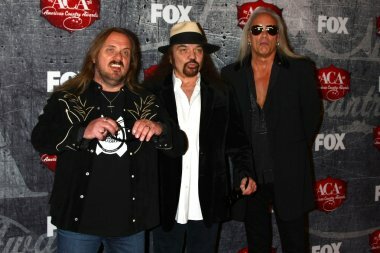 Long live Lynyrd Skynyrd. Imagine a bad Lynyrd Skynyrd cover band mixed with terrible alternative fake redneck crap like Bush. That sums up this album.